Heaven Changes Everything - Todd & Sonja Burpo. 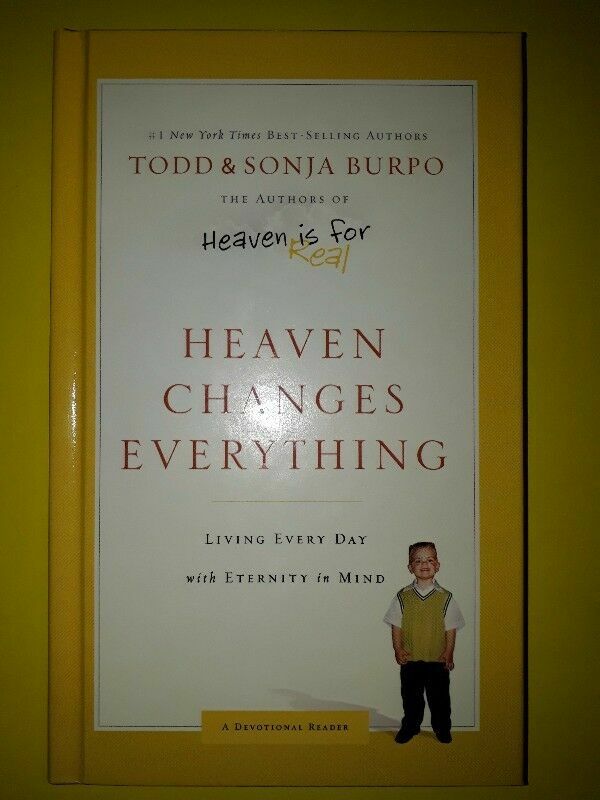 Hi, I’m interested in Heaven Changes Everything - Todd & Sonja Burpo.. Please contact me. Thanks! How does a visit to heaven change your life? Todd and Sonja Burpo’s almost-four-year-old son Colton made an unforgettable trip to heaven and back during the darkest, most stressed-out days of their lives. Times were tough, money was scarce, and the bills, frustrations, and fears were piled high. How did Colton’s visit to heaven change things for them individually and as a family? And what does any of this mean for you and your life?